With regard to potential traffic impacts, the main concern has been about the very large overall amount of retail space being proposed (approx. 5,000 sq. m.), and the Developer’s unwillingness to accept any restrictions on individual store sizes. We had asked for a limit of 1,750 square meters, as recommended in the recently completed Avenue study, which is a little bit larger than the No-Frills store in the Village but much smaller than a typical Loblaws, Metro or Sobeys. The main issue with a high-volume “big-box” store at this location is the potential impact from excessive traffic, it would be almost certain to generate, on the local street network that is already stretched to its limit. The second issue about wind impacts and pedestrian safety mainly relates to the proposed removal of the more heavily used sidewalk beside the building on the Riverview Gardens frontage and the proposed retention of the sidewalk next to the road, which is considered unsafe by many local residents. In any case, these two remaining issues were not considered deal breakers and our Board was anticipating that the third Pre-hearing Conference on June 28th would set the stage for the Mediation sessions scheduled for September 4 & 5. However, much to our surprise and that of the other three Parties, at the Pre-hearing Conference, it was announced that City Council, at its meeting two days earlier and on the recommendation of Planning Staff, made the decision to accept the Developer’s latest proposal. In addition, the lawyer for the Developer also informed the Pre-hearing that his client was no longer interested in participating in Mediation sessions with the remaining four Parties. As Mediation is voluntary and all Parties must agree to participate, regretfully, this decision effectively put an end to the opportunity for us to participate in a Mediated Settlement. Under these circumstances, as the only path forward, the four Parties have been given until August 17th to either also settle on the current proposal or present their outstanding issues to the Developer along with the names of the expert witnesses they will call upon should the Appeal proceed to a Contested Hearing. But there is good news on our two remaining issues! On the question of Traffic impacts, in its recent comments on the Developer’s up-dated traffic study, City Traffic staff has been especially critical of the consultant’s findings. In particular, it was noted that there has been no recognition or assessment of the potential additional traffic that may be generated by retail stores in the development, and the capacity of the local street network to accommodate it. After reviewing the staff Memorandum, our Board is satisfied that the City has the traffic issue in hand and the proposed development will not be allowed proceed until staff is satisfied that there will be no significant impact on the local streets. With respect to the Riverview Gardens frontage, at the same time as Council agreed to settle with the Developer, Councillor Doucette was able to have a motion passed directing staff to consult with the community during the Site Plan review process, in order to arrive at an acceptable design for that corner. In view of the very substantial progress on these issues, at a meeting on July 20th our Board made the decision to also accept the current proposal, however, we will retain our standing as a Party to the proceedings, just in case any or all of the other Parties do not agree to settle by the target date of August 17th, which could then lead to a Contested Hearing. It’s been awhile since we’ve posted an update on the Humber Theatre Proposal, but that doesn’t mean the BWVRA hasn’t been busy! Quite the opposite! Your Association, along with the four other parties to the proceedings, has had several productive discussions with the developer. Progress is being made and there is optimism that a negotiated settlement may be within reach. The developer has been meeting with us on a “without prejudice” basis which means, unfortunately, we are unable to make any public disclosure of our progress. We’re hopeful that we’ll be in a position to provide more details in time for our Annual General Meeting on May 10th, which will feature one of our always successful Candidate Debates, in advance of the upcoming Provincial Election. We thank you again for your continuing support! The 2nd Pre-Hearing Conference took place last week on February 8th, at which representatives for the developer and the five Parties to the Appeal, reiterated their interest in a Board-assisted Mediation process. However, the presiding Board Member, citing the current overwhelming workload and lack of capacity at the OMB, was once again unable to offer a date for this to take place. Even more significantly, no assurances were given that the Board would be able to assist in Mediation within the foreseeable future. Instead, the Board Member offered a 3rd Pre-Hearing Conference scheduled for June 28th, 2018. Plazacorp’s lawyer then declared that his client would be willing to engage in discussions directly with the five Parties in an effort to converge on a revised proposal that would be satisfactory to everyone prior to June 28th. Should this initiative succeed, the expectation is that the 3rd Pre-Hearing Conference could then be converted to a Settlement Hearing. If no agreement is reached by then, the Developer could request more time for informal negotiations, ask again for an OMB-assisted Mediation or, as a last resort, request a date for a Contested Hearing. In view of the inability of the OMB to assist in a negotiated settlement, BWVRA remains cautiously optimistic that frank and productive discussions will take place with the Developer over the next several months. To help facilitate this dialogue, our Association will also be reaching out to the Swansea Area Ratepayers Association (SARA) to explore issues that we have in common, and if possible, present a united front on behalf of all the residents of Bloor West Village. In the meantime, you may have noticed the new “You Asked?” section on our website, where we share frequently asked questions and responses to them. We continue to encourage your feedback which is crucial to informing the positions your Association will be representing in the up-coming negotiations. 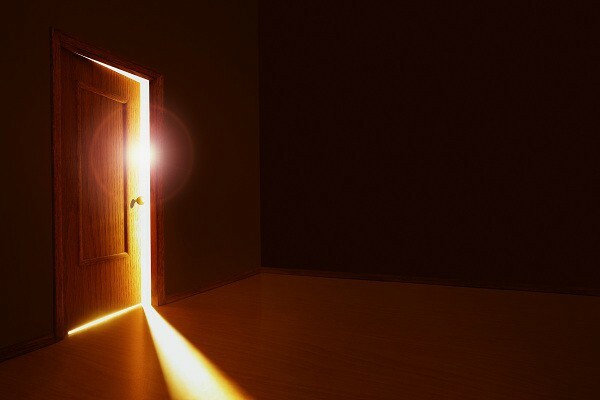 Directions for pre-filing of witness lists, expert witness statements and written evidence. For more information, read the OMB Pre-hearing Conference Info Sheet. It is important to note that the OMB’s notices state: “If you do not attend the pre-hearing conference, the Ontario Municipal Board may proceed in your absence and you will not be entitled to any further notice of these proceedings.” As noted above, HPCA will be participating in these important pre-hearings. The first Pre-hearing Conference was held on September 28, 017, during which a number of Parties and Participants were identified and registered by the OMB. As importantly Plazacorp, the developer, asked for Mediation but did not request an alternative date for a Contested Hearing, should Mediation fail. 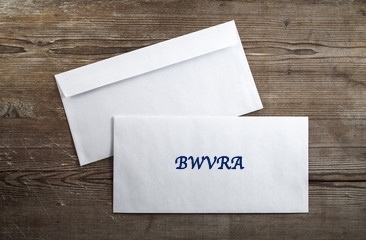 BWVRA has interpreted this as positive sign, that the applicant would like to expedite a negotiated settlement; however, with an unusually large number of five Parties being involved, and with many divergent interests to address, this is not expected to be easy. Wind tunnelling is already a concern at street-level, and the additional impacts of the proposed building need to be understood and properly addressed. Our next date with the OMB is the second Pre-hearing Conference scheduled for February 7, 018. Watch for further updates, before and immediately after that date, on the progress of informal negotiations that may take place, along with the scheduled date for Mediation, should this step be needed. On December 6th, Toronto City council voted unanimously to oppose Plaza Corp’s proposed development on the site of the Humber Theatre! This is great news and now we need to prepare for our Mediation session with the developer on February 7th, 2018. A big thank you to the many generous people who have already stepped up with a donation to the Save Our Village Fund: we’ve raised close to $9,000 so far but we still have a long way to go. To help get us there, the BWVRA has agreed to match donations, up to a total of $2,000, between now and December 31, 2017. If you’ve been planning to donate, now is your chance to have double the impact! 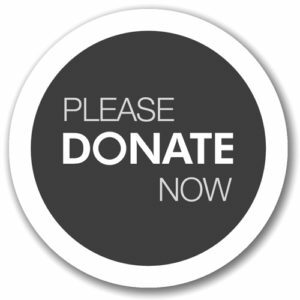 It’s fast and easy to do at our donation page. 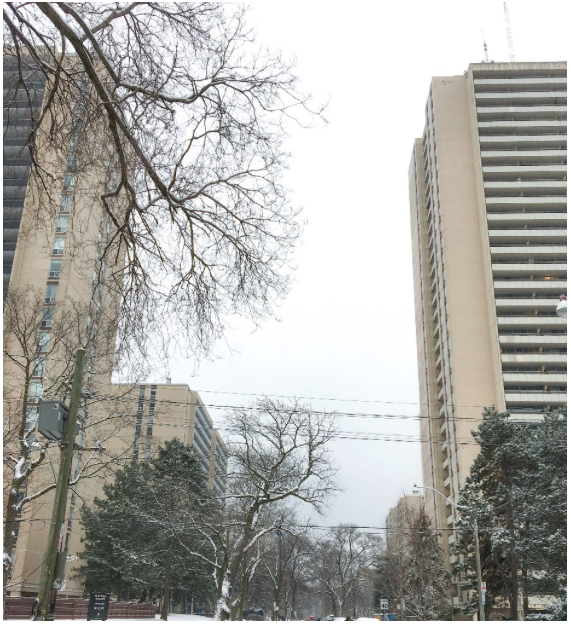 A big victory for residents of Bloor West Village yesterday when Toronto City council voted unanimously to oppose Plaza Corp’s proposed development at the site of the Humber Theatre! Thank you Sarah Doucette (@DoucetteWard13) for your leadership! We’re now two months away from mediation with the OMB and residents support will be crucial to a successful outcome: follow our page to stay informed as to how you can help. 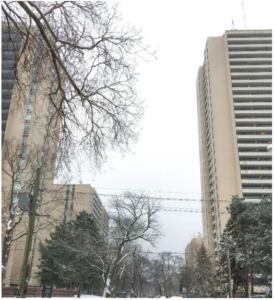 The Bloor West Village Residents’ Association is a group of resident volunteers committed to fostering a well-balanced and liveable community, both now and into the future. Our neighbourhood is currently facing an urgent challenge with a proposed development on the site of the Humber Theatre. The Theatre sits on a landmark site with most of the stores now empty and windows papered over, awaiting development. Renewal of this block is urgently needed and the BWVRA supports responsible re-development that respects the existing scale and character of the immediate neighbourhood. Do you have a laneway behind your house? 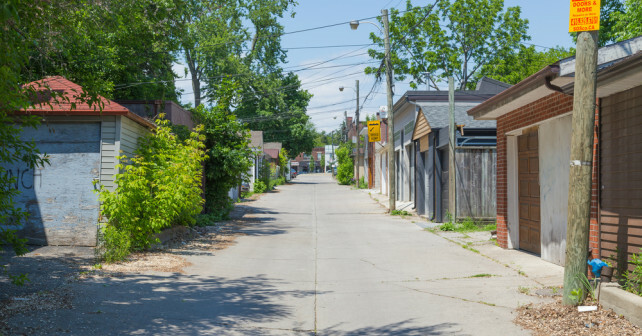 The City of Toronto is undertaking an initiative with the goal of considering the opportunity to allow and regulate laneway suites on the numerous laneways across Toronto and East York areas of the City. If you missed the meeting held recently at City Hall, feedback can be found here. On September 28th, the first Pre-hearing Conference at the Ontario Municipal Board offices in Toronto was held regarding the proposed Humber Theatre re-development. During this meeting, all of the Parties and Participants, who have an interest in the proceedings, were identified and the next steps were proposed and agreed upon. The Bloor West Village Residents Association was very capably represented by our legal counsel Paul DeMelo, a highly regarded lawyer at OMB proceedings. We have also retained David Butler, a noted Professional Planner in Toronto, who also brings many years of experience to our team. It now seems to be common practice at Pre-Hearing Conferences for the OMB to encourage the Parties to explore the potential for “Mediation” as an alternative to a much more involved and costly “Contested Hearing”. Very often the Parties will agree but the Developer will usually also ask for a Hearing Date, should Mediation fail. However, in this case, it was very encouraging that Plazacorp did not make such a request. Instead, it was agreed there will be a second Pre-Hearing Conference on February 7th, 2018, with the understanding that this will lead to Mediation in the Spring, 2018. In the mean time, our expectation is that the Developer will make a sincere effort to reach out to and consult with all of the Parties and other concerned representatives of the community. Our Association is mobilizing quickly to be a constructive voice for the community when these consultations begin. But we need YOUR input ….on the kind of re-development the BWVRA should be advocating for on this site! So please save the date October 30th, 7:00 pm, for a Community Meeting at the Humbercrest United Church Hall on Baby Point Road, just north of the development site. In preparation for tonight’s public BWVRA meeting, we’ve developed a short backgrounder on the New Deal for Cities. You can view the backgrounder as a Word document (2 pages, 117kb) if you’d like to print it, or click “read the rest of this entry” to see it online.